Posted: February 5, 2019 in Fotos, Who,What,Where & When...? Alec bought the car off the back of the prodigious speed of the Mildren Alfa/Waggott ‘Yellow Submarine’ also designed by Bailey and raced initially by Frank Gardner in the 1969 Tasman Series and then with great success by Bartlett in 1969/70 Gold Star/Tasman Championships. The thrust of Bartlett’s 1970 was racing in the US (which we should talk to him about)- he contested the Symmons and Lakeside Gold Star rounds for third and a DNF and then missed Oran Park, Warwick Farm, Sandown and Mallala. When he returned to Oz his beautiful Mildren Yellow Submarine had been sold to Bob Muir, the F5000 Mildren Chev was his new mount for the November 1970 AGP at Warwick Farm and beyond. In a performance which flattered to deceive KB popped the car fifth on the grid but failed to finish with electrics problems after completing 21 laps. 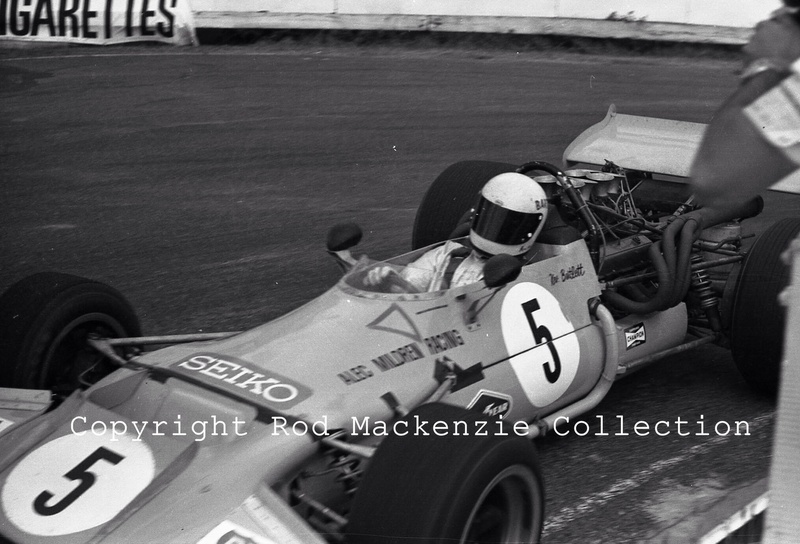 Frank Matich triumphed that day in his McLaren M10B Repco from Niel Allen’s similar Chev engined car (the chassis KB bought after Allen’s retirement) with Graeme Lawrence third in the little Ferrari Dino 246T which had been so fast in his and Chris Amon’s hands since 1968. KB didn’t have a great run in the Mildren, his best finishes in the seven 1971 Tasman rounds was third at Warwick Farm and fourth at Teretonga- niggles elsewhere included a broken wishbone at Levin, coil at Wigram, engine failure at Sandown and a crash which precluded the speedy Sydneysider starting the final round at Surfers. That was pretty much the end of Mildren Racing, sadly. 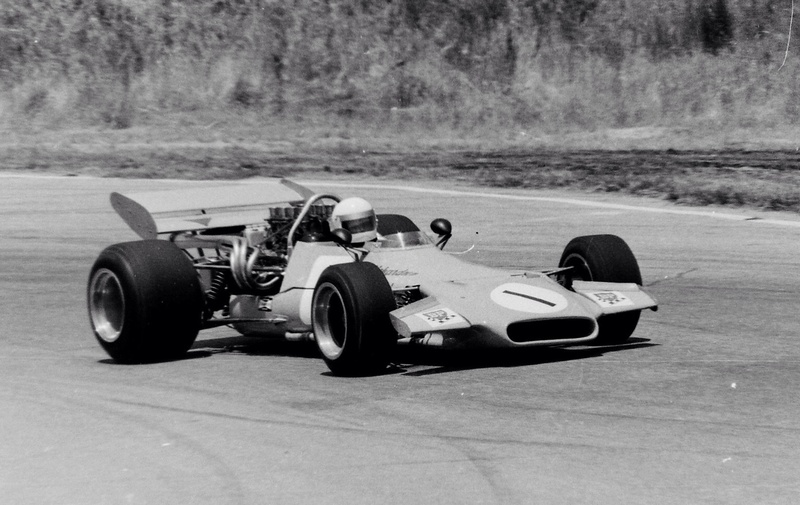 Bartlett bought one of Niel Allen’s McLaren M10B’s shortly thereafter and was immediately a front-runner in one of the great production F5000’s. KB’ boots the Mildren out of Peters Corner at Sandown and unleashes 500 or so neddies up Sandowns longish back straight and the left-right high speed kink and plunge into Dandenong Road. 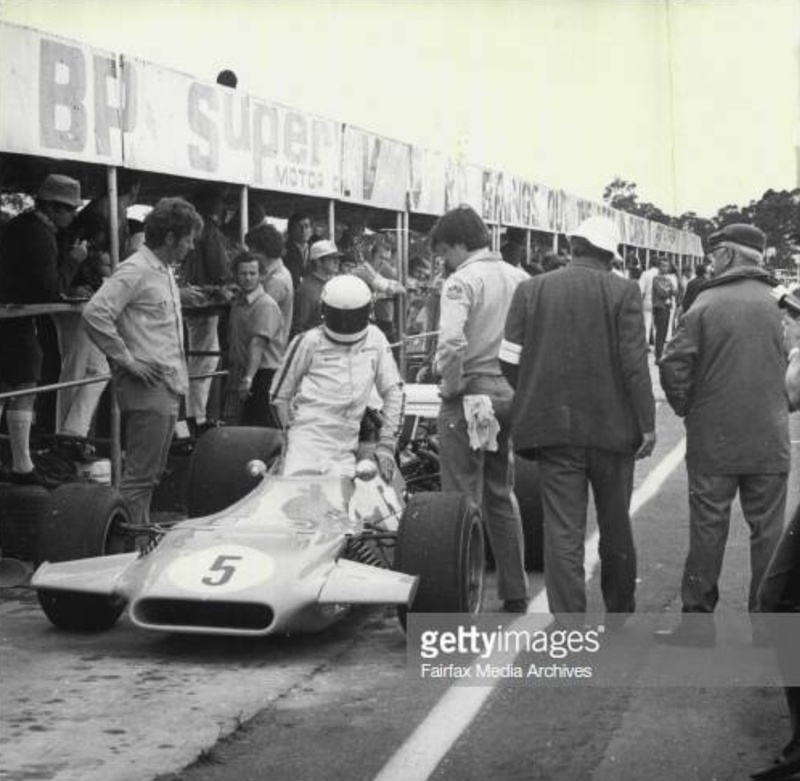 Upon the sale of the Mildren Racing assets the car was bought by Jack Wortmeyer and re-named Wortmeyer SC/SC5 Chev and driven by hillclimb ace Erol Richardson, he made two Tasman appearances at Warwick Farm in 1973 and Oran Park in 1974. The car never left Wortmeyer’s hands- it was acquired after his death by the ACT’s Matt Veal who has completed, almost, the machines restoration. In fact it was looking at Rod’s archive for other photos of this car in addition to the lead one which he sent to me some months back that I became aware of his passing. He was a man of great talent, check out his website if you have not done so and this article we did together in September which explains his ethos or creative approach. Some of you will be familiar with his work via ‘The Tasman Cup 1964-1975’ book published two years ago whereas many of us first saw his art in ‘Racing Car News’ in its heyday. 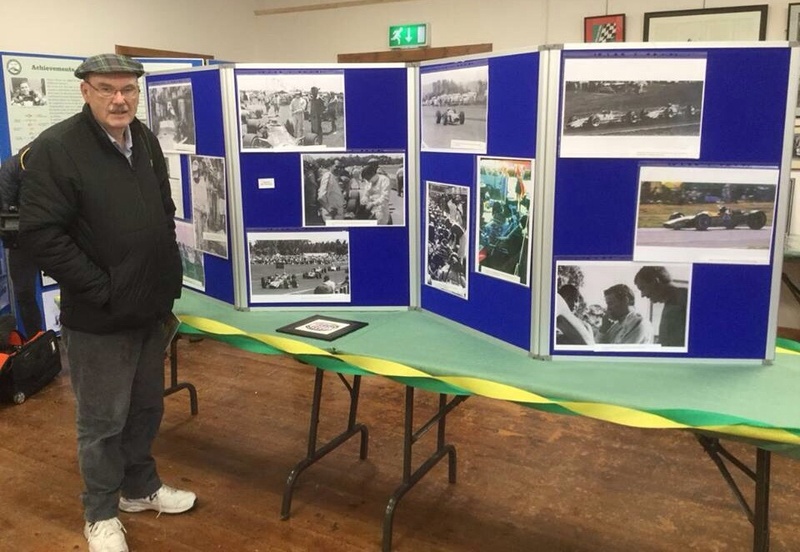 The photo above is of Rod on a fantastic trip to Scotland last 7 April 2018 to attend the Jim Clark Exhibition in Chirnside to commemorate the fiftieth anniversary of the Scot’s death at Hockenheim. Some of Rod’s wonderful work- photos taken at Longford in 1968 formed part of the display. Great spot for photographers to get up cockpit close and intimate. Engine an Al Bartz injected Chevy. Just a comment about the Mildren Alfa ‘Yellow Submarine’. Whilst Frank Gardner did drive the car in the 1969 Tasman Championship it did not actually make its debut in that series. Gardner had previously driven it in the 1968 Hordern Trophy “Gold Star” race at Warwick Farm where he led early but retired when the Alfa engine broke a metering unit belt. The 1969 Australian Motor Racing Annual article on the Gold Star indicates that this was the first race for the ‘Yellow Submarine’. The comment above regarding the end of Mildren Racing raises the question of just when that happened. The Racing Car News reports on Round 1 of the 1971 Gold Star at Lakeside has Max Stewart in the Mildren Waggot, entered by Alec Mildren Racing. Ditto the RCN report on Round 2 at Oran Park on 27 June. For Round 3 at Surfers on 29 August, RCN has the car entered by Max Stewart Motors. I assume that the end was marked by the sale of that car to Max around July. Any thoughts? I don’t know, I need to cycle back and do ‘Mildren 2’. Clearly, as it should have been, it was all pretty amicable with Max carrying the Mildren livery all the way thru 1971, whatever the commercial arrangements reached during the season were. 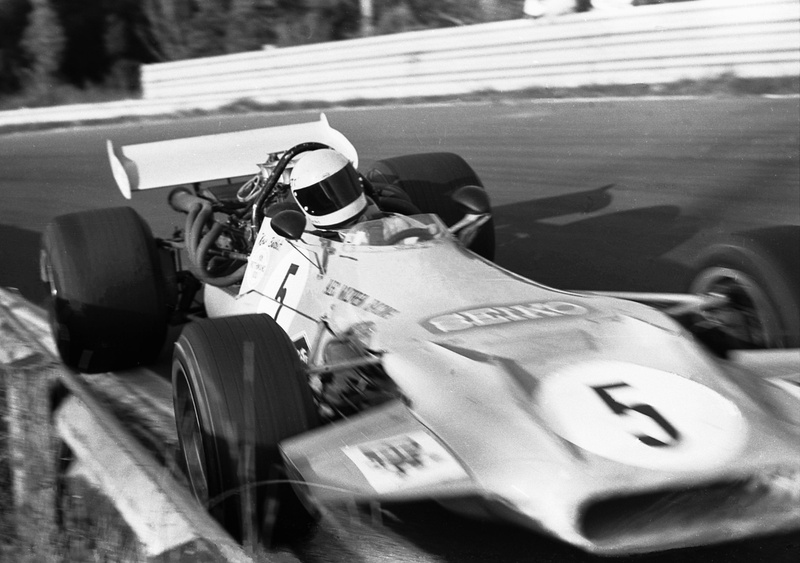 As he did with the MR5- the wonderful ‘Mildren Yellow’ colour, BP and Seiko sponsorship carried on into 1972. I’ll have a look at the Alec biography- I think I know where it is! Thanks for that, been buried by the Repco Brabham epic for the last couple of weeks so i’d not had a chance to have a look. Still, by then he had been at it for about thirty years so that is a pretty good go- especially given the last ten years of supporting others.